Our mission is to make humans, not machines, smarter so they can make extraordinary decisions.  Semantic AI is a privately-held software firm headquartered in San Diego, CA, with offices in Alexandria, VA and Tampa, FL. Our powerful context engine helps your organization make sense of its most vital resource — your data. We help users see and analyze data in context through a unique human-usable data model. Whether it is eliminating fraud, protecting you from cyber security threats, preventing regulatory fines, or personalizing information for your customers, we stitch together all your data sources – showing you who, what, when, where, how and why they are connected. The result: you uncover previously hidden connections and discover insights that produce deeply informed, optimal business decisions. Our founders have been working on connecting data for a long time. 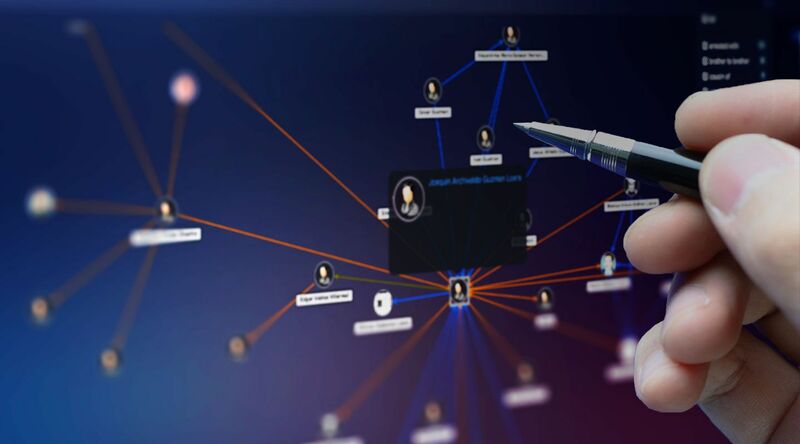 After the events of 9/11, we turned our attention to connecting the dots of data for organizations such as the U.S. Department of Defense and others in the Intelligence Community. Our unique adaptation of semantic network theory has enabled us to tackle data challenges with a very different, and much more adaptable, vision than anyone else. Now it’s time to share our unique technology beyond our intelligence communities. No matter what industry you’re in, our technology can redefine the way you visualize, interact with, analyze, and understand data. We are problem-solvers, analysts, and engineers – our work will bring together all of your data so you can make your processes more efficient, your risks more apparent, and your business more cost-effective and profitable. Our sole goal is to help you go further, faster. With our deep background in knowledge transfer for education, we have always focused on making humans, not machines, smarter. Rather, we use the most up-to-date computational capabilities to connect, add-value to, and present data and information in ways that human analysts can use to rapidly build understanding and make better decisions. We call this Augmented Intelligence — human intelligence augmented by machine learning, analytics, visualization, and yes, artificial intelligence capabilities. It is our goal to augment the speed, confidence, and capacity of your teams to help you avoid risk, and create new opportunities. Augmented Intelligence: It’s in our DNA. Company renamed from Semantic Research to Semantic AI. Richard ‘Chip’ T. Harrison is one of the co-founders of Semantic AI, and brings with him more than three decades of executive management experience. In 1983, Chip founded Peripheral Systems, Inc. – a trailblazer in the system integration marketplace. Chip also started up Cyberworks and turned it from a pioneering Web development and design studio into a leading Internet business development firm. And just before heading up Semantic AI, he served as the COO of Working Woman Network, a global organization dedicated to helping working women build their businesses, careers and lives. Chip also participated in the initial design of the EDGAR systems for the Securities and Exchange Commission. He has served as a member of the Board of Directors for Inland Entertainment, and is a member of the Advisory Board at RadiantBlue Technologies, Inc. Today, Chip is the Chief Executive Officer and Chairman of Semantic AI Inc., and makes his home in La Jolla, CA. Matt Landa has over 25 years of C-level management experience, including being the CEO of two publicly-traded companies. Matt began his career in 1986 at Monitor Company, a strategy consulting firm focused on working with c-suite executives of Fortune 500 companies. In 1995, Matt joined CMCI Industries, an electronics manufacturing services provider, and a NASDAQ-listed company, as its CEO, where he led the company to a tripling of its revenue over his five years with the company. In 2000, Matt joined the Active Network, a SaaS provider of ERP services to activities-based organizations, and was part of the team that led the company to three straight Inc. 500 and Deloitte Fast 50 Awards, as well as being named Ernst & Young’s Technology Entrepreneur of the Year for San Diego County. Matt and the Active Network team took the company public on the NYSE in 2011, growing its annual revenue to over $400 million by 2013. Matt received an A.B. with concentrations in Engineering and Economics from Dartmouth College, and an M.B.A. from Stanford University’s Graduate School of Business. Thomas J. Jurewicz has served as Semantic AI’s CFO since February 2019. He was most recently the VP Finance for Google’s (Nasdaq: GOOG) Cloud division where from 2016 until 2019 he was responsible for all financial matters for this multi-billion-dollar unit. Before joining Google, Mr. Jurewicz served as a board and audit committee member of Modsys International (Nasdaq: MDSY), a software legacy migration company, from 2012 to 2016. Between 1999 and 2011, Mr. Jurewicz held various financial positions at VMware, Inc. (NYSE: VMW) and its subsidiaries, including treasurer, CFO, and EMEA controller. Prior to that, Mr. Jurewicz held financial roles at CMC Industries, Inc. (Nasdaq: CMCI) and NETCOM On-Line Communications (Nasdaq: NETC). Early in his career, he was an investment banker for Merrill Lynch & Co. (NYSE: ML). Mr. Jurewicz holds an MBA from Stanford University, and a BS in Applied Mathematics from Yale University. Joe Faletti has over 20 years of experience crafting software solutions to interesting problems, especially in the field of semantics. Before most people had home computers, Joe was already designing and building knowledge representation tools and visual analysis environments. Just before starting Semantic AI in 2001, Joe spent three years in data collection, curation and analysis for Kaiser Permanente's Y2K project. He also developed web-based communications tools for Wordwalla and was the design lead and software engineer for Semantica's predecessor, SemNet software. With a passion for teaching, Joe designed and helped build six learning and assessment software systems at UC-Berkeley, UC-Davis and San Diego State University. In addition, Joe taught Computer Science at UC- Berkeley, UC – Davis and UC – San Diego for about 10 years. Today, as Chief Scientist of Semantic AI, he prides himself on bridging the worlds of software development, social network theory and semantics to solve scientific problems. He also provides us with both history and vision for the varying needs of users in different applications and markets, and manages intellectual property issues, especially patents and trademarks. Bob Scanlon started off his career in the intelligence community as a Naval Officer and Federal Civilian, and built more than 30 years of organizational management experience. He served in a series of operational and leadership assignments at home and abroad, working and leading in highly sensitive settings and circumstances. After his initial period of active duty, Bob entered the private sector where he helped guide the successful development and sale of two small businesses (one manufacturing, the other hospitality), after which he accepted an opportunity to return to active duty as a Naval Intelligence Officer. He currently oversees all aspects of Policy & Compliance Management, Human Resources, Contract & Program Management, Security & Facilities Management and Legal Affairs. Bob has also been a Member of the Board of Directors and Corporate Secretary since 2013. Tim LaMarca, a career technologist, is most passionate about using Semantic AI’s tools to provide solutions to otherwise unapproachable problem sets. And he’s qualified to do just that with more than two decades of experience in the software field. After stints developing and supporting embedded systems, development libraries and ‘dot-coms,’ Tim joined Semantic AI in 2002 as a member of the original engineering team. After a hiatus that saw him working for Software AG, applying W3C Semantic Technologies to their WebMethods product suite, Tim returned to Semantic AI to head up Product Management and eventually all of Software Development. Tim has also held positions in customer support, software engineering, quality assurance, engineering management and technical operations – making him intimately familiar with all aspects of delivering production quality systems. People are the heart of a company. Data is the lifeblood. The volume of data in your business is going to grow by 50 times year-over-year between now and 2020. And most organizations will be unable to use data for a competitive advantage. Don’t be one of those companies.